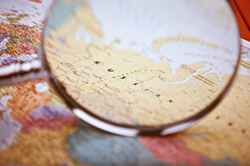 Globalization Partners expands innovative payroll service into former Soviet states. Globalization Partners' Employee of Record Platform now available in more countries in Eastern Europe and Asia, providing clients with a faster alternative to direct hires. Globalization Partners' Employee of Record Platform now available in more countries in Eastern Europe and Asia, provides clients with a faster alternative to direct hires. Globalization Partners is excited to announce the expansion of its Global PEO service into 30 new countries, bringing the total number of countries in which it simplifies global hiring to 130. US companies increasingly look toward the former Soviet states as an area of opportunity, but regulatory restrictions make it difficult for them to hire employees. Globalization Partners, whose mission is to eliminate barriers to global business by making it easy for companies to hire overseas, offers a faster and less expensive alternative. By hiring employees on behalf of clients, providing payroll services, and acting as the legal employer of record, Globalization Partners’ Employee of Record Platform reduces risk and cost, and increases speed to hire. “Expanding to the former Soviet states is a strategic business initiative for many of our clients, but making a direct hire can be difficult and time consuming. Our proprietary PEO solution significantly reduces red tape and takes the hassle out of the process, enabling our clients to focus on their operations.”– Nicole Sahin, CEO, Globalization Partners.